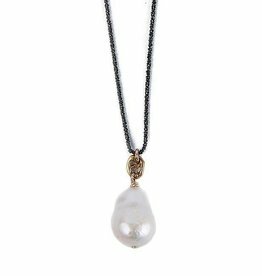 Known for its powerful calming effects and its ability to balance your aura, this baroque pearl pendant necklace will ground and center you no matter how chaotic your world gets. 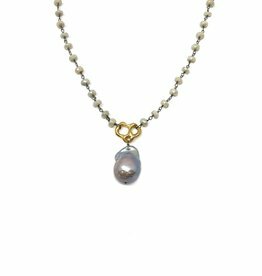 A large baroque pearl pendant is accented with gold and strung from a gunmetal chain. 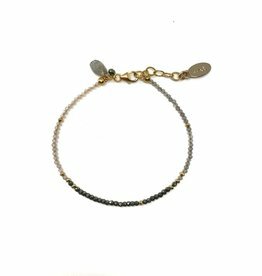 Both edgy and ethereal this necklace is sure to become one of your signature pieces. 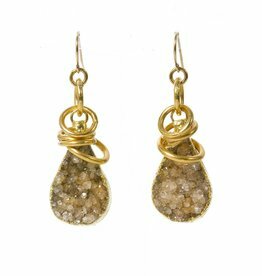 Get wrapped in gold with these timeless earrings. The elegant layered rings give these earrings a uniquely beautiful design. 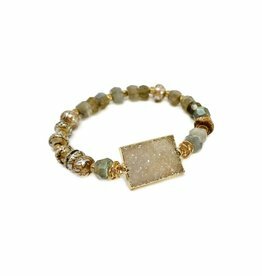 Tiny faceted pyrite, zircon and labradorite gemstones accented with a white topaz pave charm. 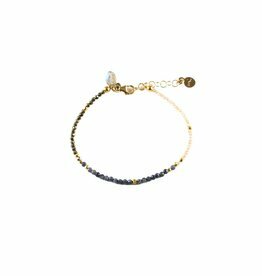 The compelling combination of sapphire, pyrite, and zircon in this delicate bracelet will work wonders to clarify intentions and bring out your inner confidence. Natural rubies and sapphires exude power and confidence for your style. 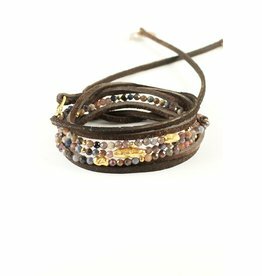 With gold accents and a soft leather wrap, this piece will complete your everyday look.